Congratulations! You have made it this far and now you are considering getting your braces done. Curious about how it will go? Here are the steps needed in getting braces. First off you will have to schedule an appointment with your trusted orthodontist. Feel free to visit the office or website of Portland Braces to request for consultation in an instant. Next up is the exam part. Your condition and needs differ from any other patient’s and taking an exam is necessary so that the right treatment can be prescribed to you. If you have questions about your options, now is the perfect time to ask your orthodontist as well. Feel free to ask about your options so you can be guided accordingly. 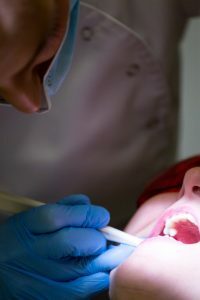 After the consultation part, your dentist or orthodontist will design a treatment specifically for your needs, while considering the options you want. Whether you want to go for traditional metal braces, ceramic braces, invisalign, or other treatments, your orthodontist will carefully tailor it for you. Your dentist or orthodontist will clean your teeth and place the type of braces you have chosen afterward. The brackets will be cemented to the surface of your teeth and linked altogether by wire. The wire will be attached in place to the brackets with elastics. This procedure can take 30 minutes up to an hour. Now, having your braces in place is not enough! Depending on what your orthodontist prescribed, you will need to schedule appointments for the adjustment of your braces. On average, adjustments will be between 3-4 weeks since your last visit.